When you boot up your computer, you see an error that reads – Reboot and Select proper Boot device or Insert Boot media in selected boot device and press a key. This particular boot error is a serious and complicated issue which involves hardware problem. I’ll explain the error as simple as possible so that you know what you’re facing and what solutions you can apply to fix the problem. Reboot and select proper boot device error can happen when you boot SSD or normal HDD on a desktop or laptop by Asus, Acer, Toshiba and Dell, regardless of what OS it’s running, be it Windows 10, Windows 7 or Windows 8. The reboot and select proper boot device error is also common among the PCs that have the Asrock or Gigabyte new build motherboard. If you’re trying to boot to your primary OS drive where your Windows 10 is stored, when you see the Reboot and select proper boot device error, it means that your motherboard BIOS chip is unable to detect or read the particular hard drive. It may also imply that the BIOS couldn’t detect any operating system (Windows 10) installed on the hard drive which set to be boot first in the BIOS, particularly if it’s a new computer you’ve just purchased. 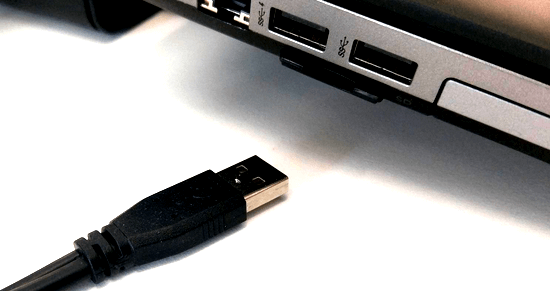 If you’re trying to boot to your bootable USB flash drive and this error occurs, it may indicate that either the bootable wasn’t setup correctly, or that the USB flash drive is simply broken. For this issue, you may want to try using another software to create the bootable USB drive or use a different USB pendrive. One of the most common reasons for the Reboot and select proper boot device error to show up upon booting is that the hard drive’s SATA or power cable becomes loose or was not plugged in correctly. Re-plug the cables should fix the issue most of the time. Shut down your computer. Remove your CPU casing cover. 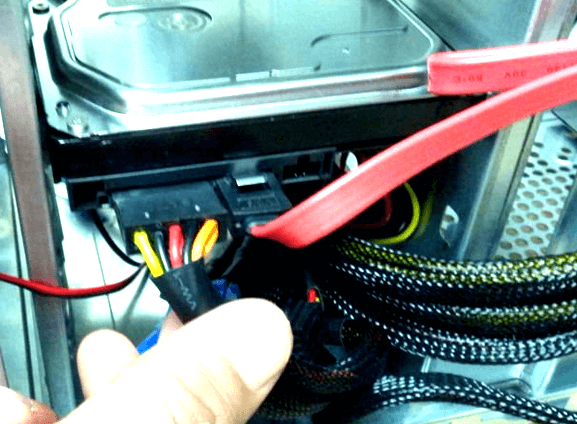 Unplug both the SATA cable and the power cable from the HDD, and then plug it back again. This time, make sure the cables are fastened at both ends. Retry booting your Windows 10 again. To make sure nothing is interfering the boot up of your Windows, remove any existing USB flash drives, DVD or even Floppy from the PC. Then, reboot the computer and see if the Reboot and select proper boot device error is resolved. If your BIOS is set to first boot a drive that’s not your primary OS drive, when the drive has no OS, it will return the Reboot and select proper boot device error. So, make sure your computer is booting the correct OS drive. You can check the boot sequence by going to the BIOS settings on your computer. Press DEL or F2 as soon as your computer starts, to boot into BIOS. In the BIOS settings, look for the option usually called Boot Priority or Boot Sequence. Set the First Boot to boot your primary OS hard drive. Press F10 to save the configuration and reboot your computer. When you’re sure your BIOS is booting the correct drive and yet the reboot and select proper boot device error is still showing up, it may indicate that your hard disk drive is failed or is starting to fail. Try to shut down your computer and let your HDD to cool down for several hours. Then, try to boot it again. If it doesn’t work, try to place the HDD onto another computer and see if you can read the files in it. If you can read the files, you may want to backup all your important files and data while you still can. When the primary OS drive is not set as active, your computer will return the reboot and select proper boot device error. Setting the partition as active again may solve the error. To use diskpart, we need to have access to the command prompt tool. Try the following method to boot into Windows recovery. While your computer is on the error screen, press and hold the power button on your computer to force shut down. Start it up again. Repeat this for 3 times. If Windows can boot into Windows Recovery on third attempt, navigate to Troubleshoot > Advanced Option > Command Prompt. If the method above doesn’t work to open Windows Recovery, you will need a Windows recovery drive or a Windows installation media (DVD or bootable USB). Set your BIOS to boot the Windows recovery drive, then navigate to Troubleshoot > Advanced Option > Command Prompt. In the command prompt, enter the following commands followed by Enter key after each line of command. 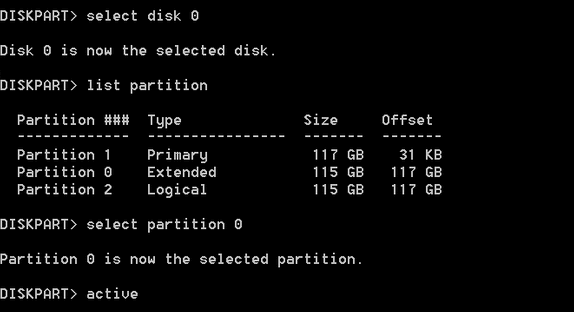 Note that the second command is assuming disk 0 is your primary OS disk. To see a list of all disks and identify the correct disk number, type “list volume” before entering the “select disk” command. Reboot your computer and verify if the problem is fixed. If none of the suggested fixes above works to solve the error, you can try to run startup repair, CHKDSK and repair the master boot record of your Windows 10. To run these tools, you have to boot into Windows Recovery. Boot into Windows recovery as outlined above. To run startup repair, navigate to Troubleshoot > Advanced Option > Startup Repair. Follow the on-screen instructions to complete the repair. To run CHKDSK and bootrec commands, open Command Prompt and enter the following commands followed by Enter key after each line of command (assuming C: drive is your primary Windows 10 OS drive). 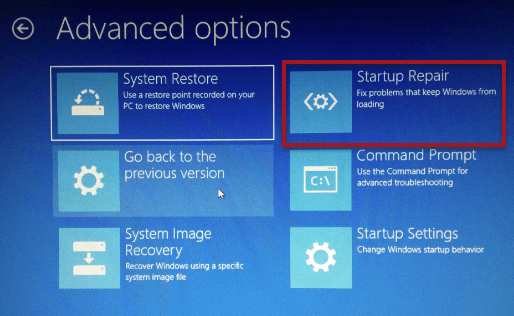 For detailed guide and instruction on how to use the chkdsk and bootrec tools when you have no access to the Windows, read: how to startup repair Windows 10 using command prompt. Description for sharing: How to fix - Reboot and Select proper Boot device or Insert Boot media in selected boot device error, when you boot Windows 10 on SSD or USB.